This is me wearing the costume. I got the idea because people always said I look like Jesus. 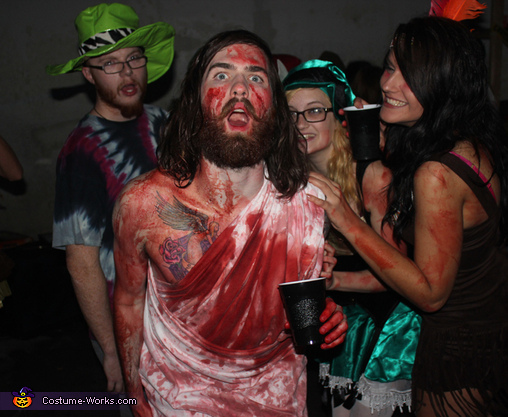 I just used a white bed sheet to make a toga and doused myself in plenty of fake blood! The guy wearing that might wanna start thinking about how to react to complete and utter humiliation when his soul is weighed in the balance. Oh wait, he's too busy being brainwashed/burying his face in his "smart" phone and television set.